Recently I found this product. 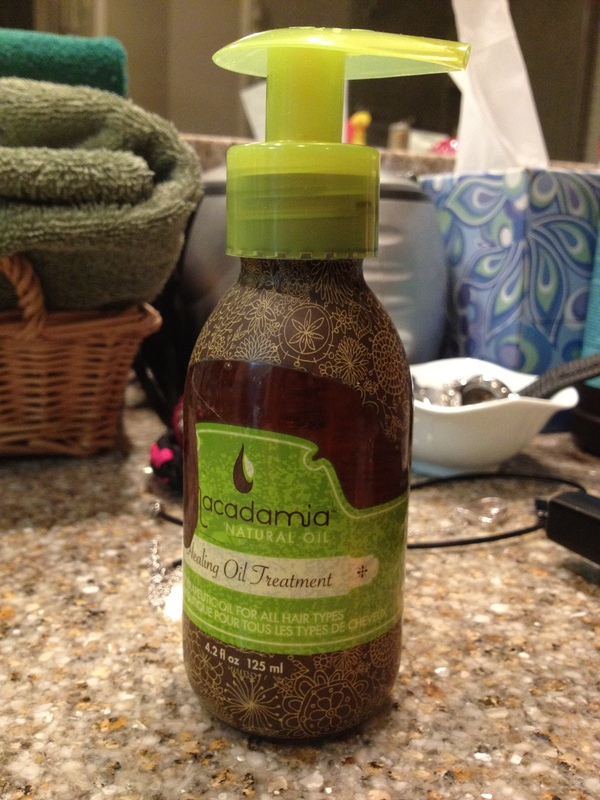 This is an amazing hair treatment oil for dry hair. This makes my hair very soft, too. 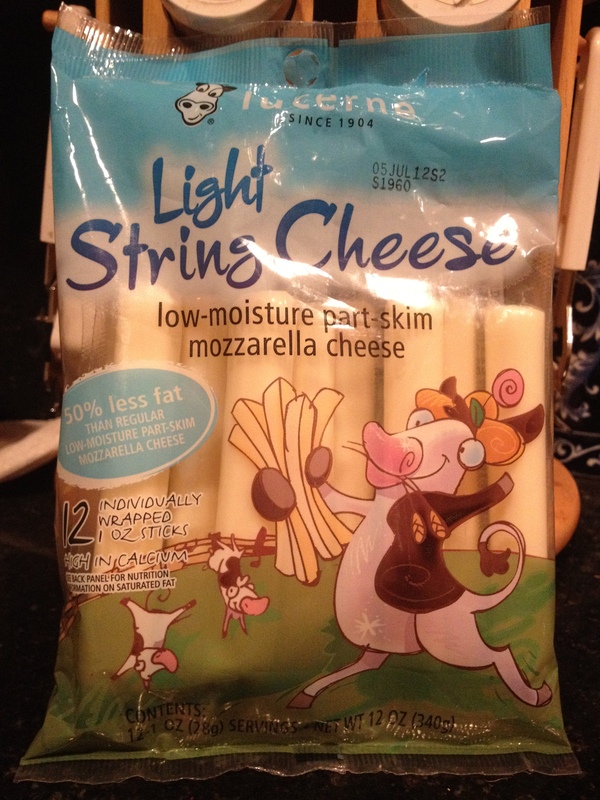 Only cheese I have been eating was melted cheese like pizza in my life up until now. This is my first cheese that is not melted and still I could enjoy eating. These past few days, I have been eating salad for my dinner. 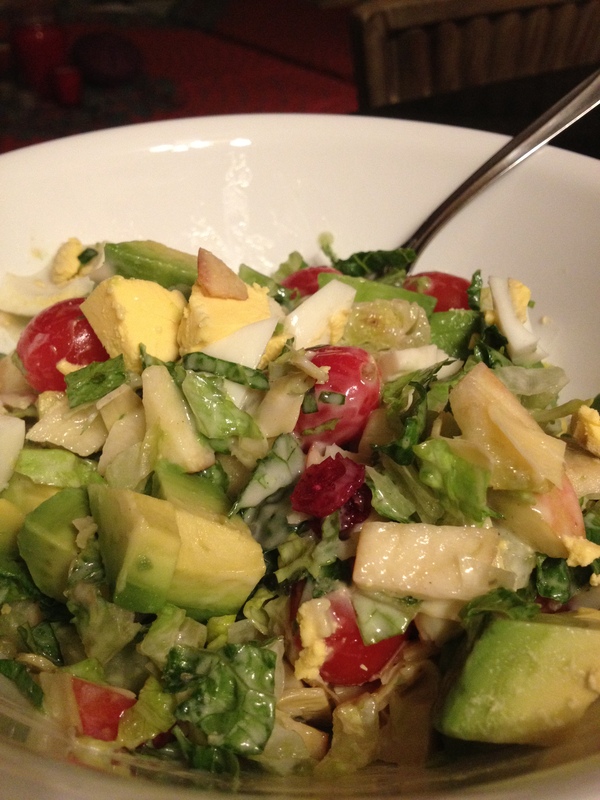 I chop everything (hearts of romaine, cherry tomato, apple, artichoke, boiled egg, mozzarella cheese, dried cranberry and avocado) and mix with creamy dressing like Lawry’s or ranch. Yummmy. 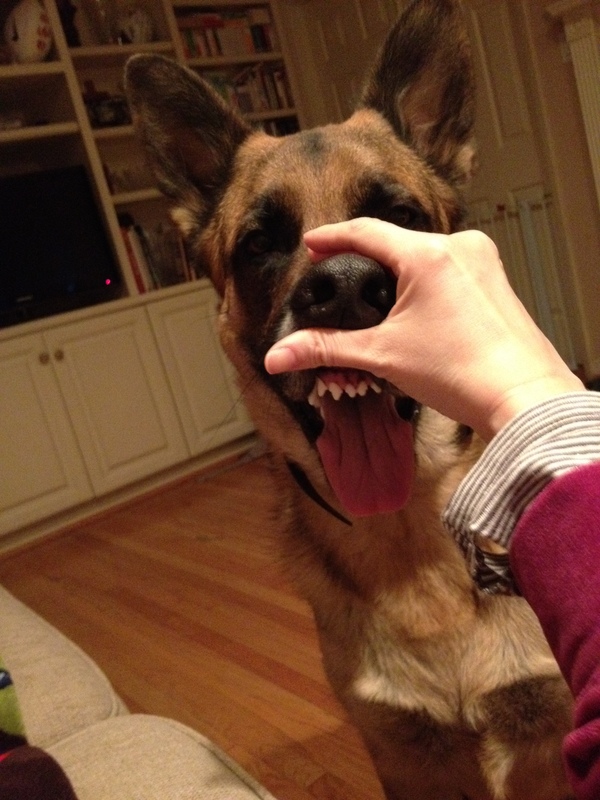 I like playing with Kinta’s face. 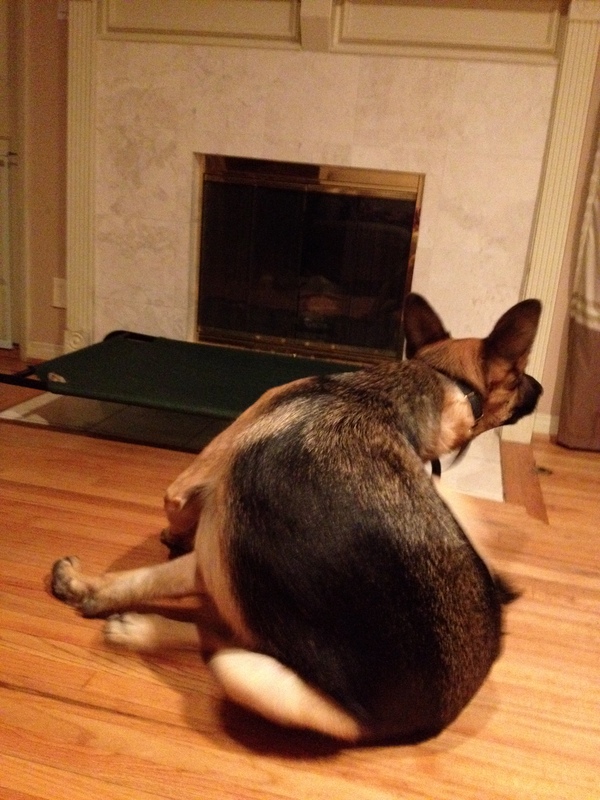 Since Kinta is such a big dog, whenever I see him doing this I am impressed. Also it gives me back pain. 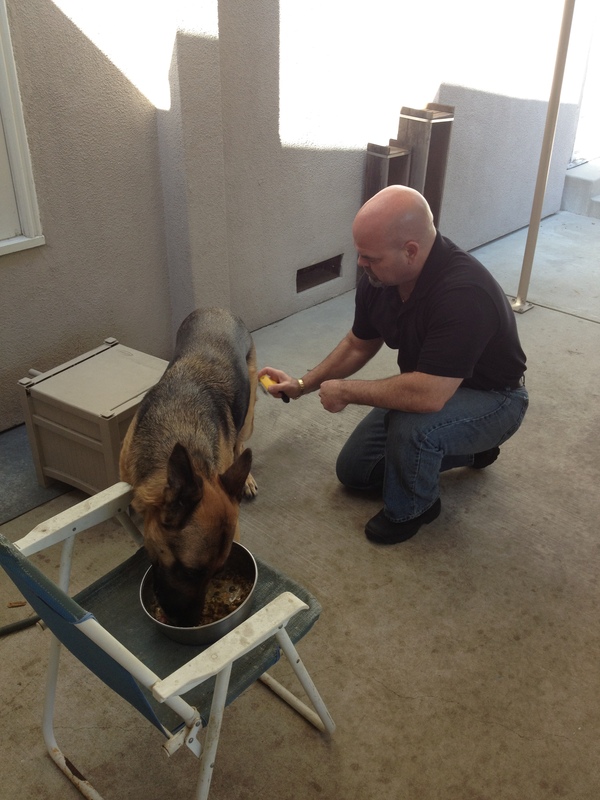 We brush Kinta while he’s eating to save time in a busy morning. 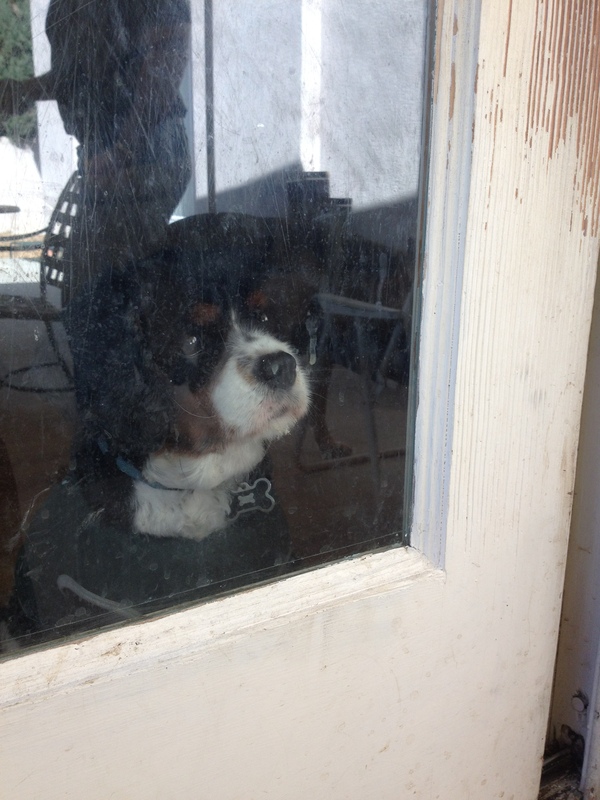 We have been doing that for a long time and Kinta does not mind it. But Makiba minds it from two reasons. Reason (1): Kinta gets to eat more than Makiba does. Reason (2): Daddy is “all over” Kinta while he’s eating. Hmmmmm. Well…what can I say? I have been using Kong flyer for a while but Kinta destroys it in a few days. 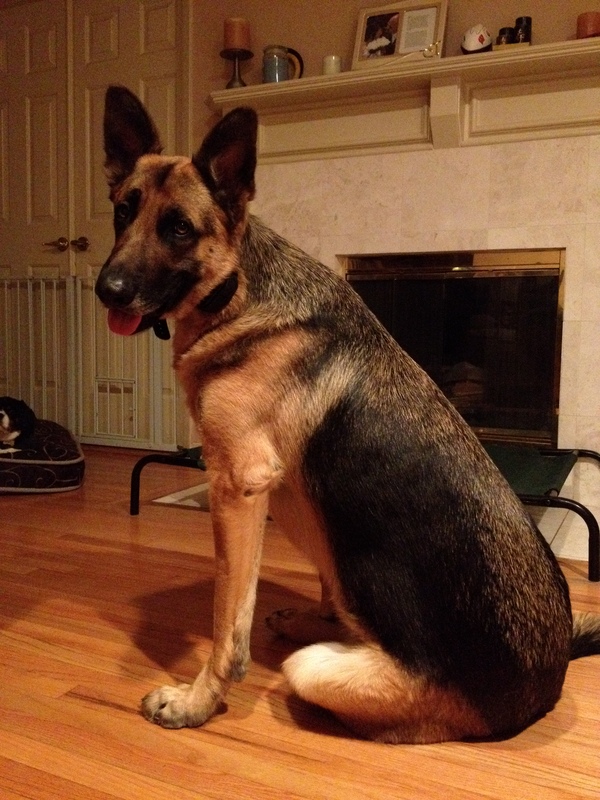 Since our dog sitter plays disk with Kinta, it seems like Kinta does not let go of a disk smoothly. A disk is not a chew toy. No wonder why it gets destroyed so quick. 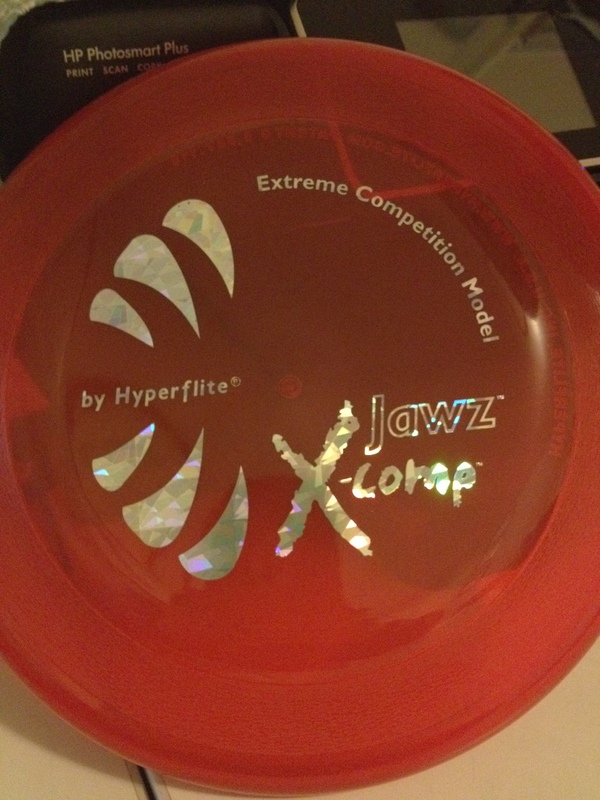 Hyperflite Jawz is supposed to be very tough and puncture resistant. It cost twice as much but I wanted to try. Kinta, please do not destroy this. 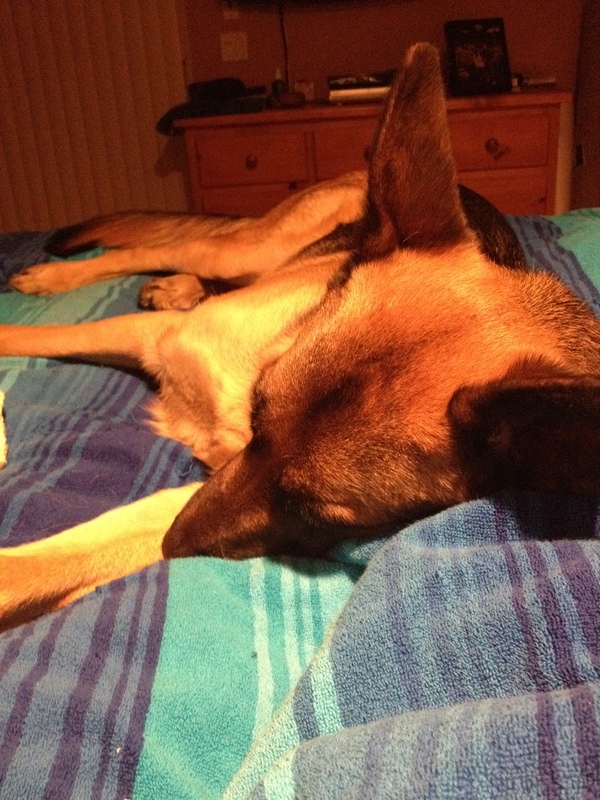 When Kinta gets sleepy, he lays his body down right next to me and lean against me. 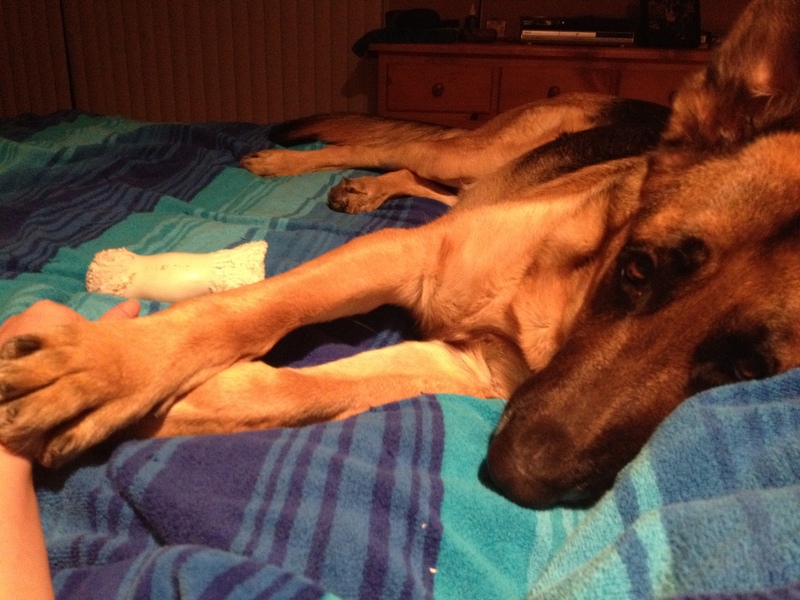 Paw massage is like a lullaby for him. He just wants it to fall asleep. He’s already very sleepy so it won’t take long for him to fall asleep as soon as I start massaging his paw. 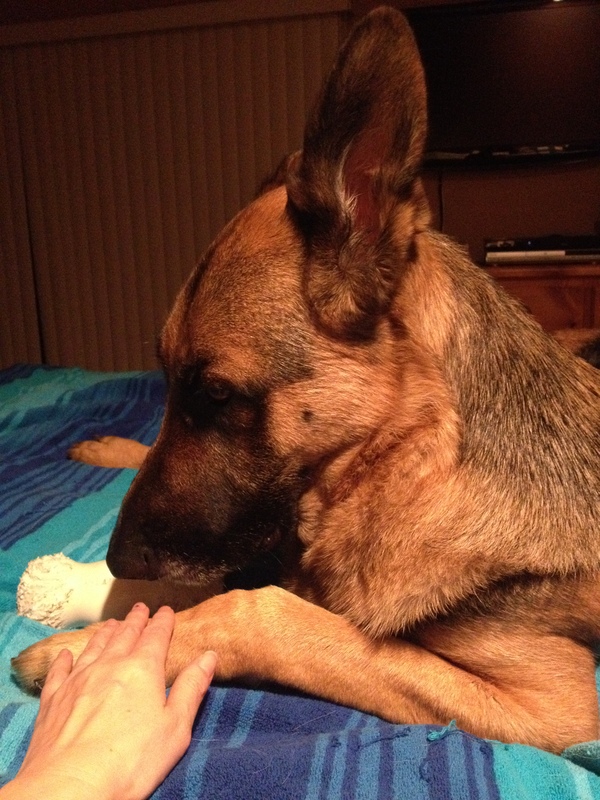 But if I stop my had too quick, his other paw grabs my hand as if he does not want to let my hand go. So I continue until he’s asleep deep enough. Good night, baby boy. Sweet dream. 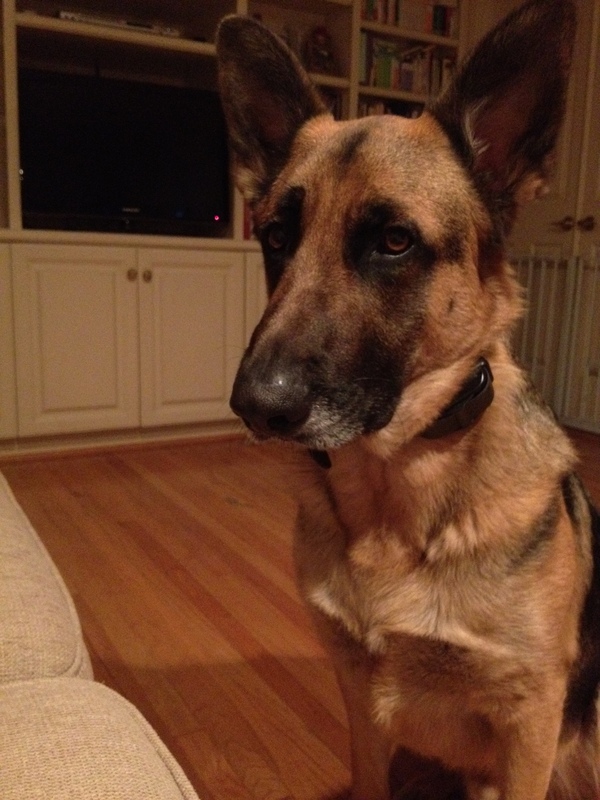 Here is a vide to prove Kinta is a pretty good goal keeper.